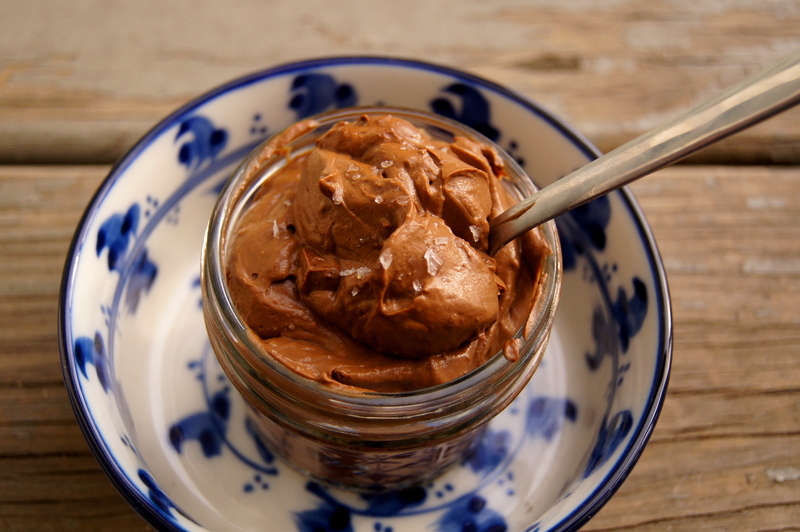 My friend Lexie has always told me about this amazing, dairy-free chocolate mousse she makes. For the past couple of years, I’ve been dying to try it, but I still hadn’t tried it until NOW. As we firmed up our dinner plans for tonight — I’m having a vegetarian, gluten- and nut-free dinner party at my apartment tonight, more on that later — she mentioned she’d bring the recipe with her. But, technology and impatience being what they are, and the fact that I happened to be in the grocery store parking lot as we spoke, I quickly looked up a few recipes and decided not to wait another day! The recipe I settled on – actually, all the recipes I found – was stunningly simple and promised a quick, delicious and healthy chocolate fix. The best part about this mousse is it is SO GOOD – not one of those “compromised yummies” that people say it tastes good solely because it’s good for you. No, it actually is very yummy, and just happens to have all good stuff in it. I think the only laughable part of this recipe is it claims to have 8 servings…let’s hear a big laugh for that one, because I made it yesterday for myself and it’s basically all gone. Sheryl Crow’s recipe also calls for 1 1/2 teaspoons of both vanilla extract and almond extract, but I didn’t have either so skipped it. And I clearly still enjoyed it! Scoop the avocado meat into a blender and blend it on its own a little bit, to break it down. Add all the other ingredients and blend until everything is mixed well, and there aren’t any lumps from the cacao powder left. I don’t have a very powerful blender, so it took a bit of maneuvering. Feel free to add just a little bit of water if you’re having a hard time, but not a lot, so you maintain the mousse texture. Refrigerate overnight…oh screw it, eat some now because why wait? But make sure you do set some aside to refrigerate. It really will be worth it, I promise. Eat as is, or garnish with berries, a sprinkling of flaky sea salt, toasted coconut, or cacao nibs. 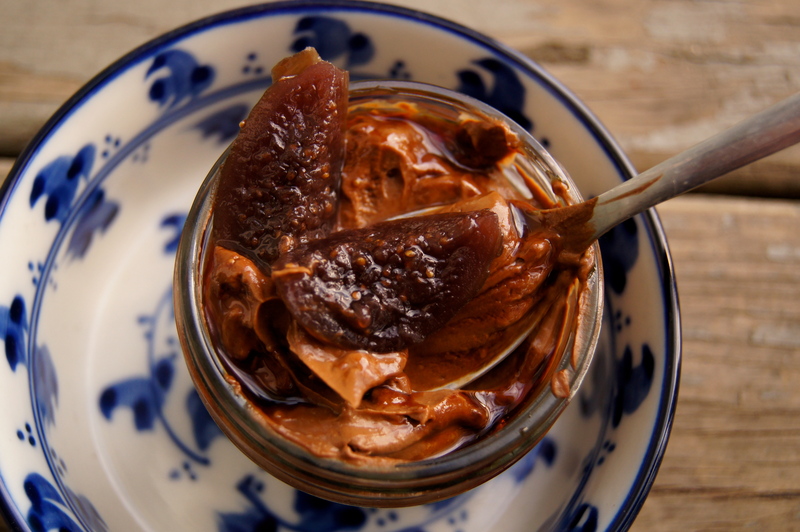 Below, I tried it with brandied figs I made at the end of summer, with a drizzle of pomegranate molasses. Yum. You could add a dollop of fig jam to garnish for a similar effect. Thanks avocados. You guys are great. Might be necessary to double the recipe to 16 servings, that way you’ll have enough to last all day. Sort of like me making 4 lbs of short rib BBQ for the Super Bowl tonight (and having available 4 bottles of ‘Founders Brewing’ Imperial Stout at 10.5% ABV. After the second bottle and 3 lbs of ribs, won’t even care about the game.